Functional Medicine is the science and practice of restoring health and reversing chronic health problems. Functional medicine involves understanding the origins, prevention and treatment of chronic disease. It is a very personalized, body-systems oriented and integrative healthcare model. This approach empowers patients and physicians to achieve the highest expression of health and wellness by focusing on and addressing the true underlying causes of poor health and disease. By shifting from a disease-centered to a patient-centered approach, we treat the whole person, not just your symptoms or your disease. Functional medicine represents the future of healthcare. It represents the natural evolution from the outdated and ineffective disease-drug model we have been clinging to for past 100 years to a function and health-restoration model of healthcare. Welcome to the future of healthcare! A distinct advantage of utilizing functional medicine is that it expands the physician’s diagnostic and treatment options; thus permitting better patient outcomes. With functional-specific testing, your doctor can get better answers and create a more effective treatment plan. Functional medicine testing procedures provide vital information and facilitate the process of isolating where dysfunction is occurring in the body and how to correct it. 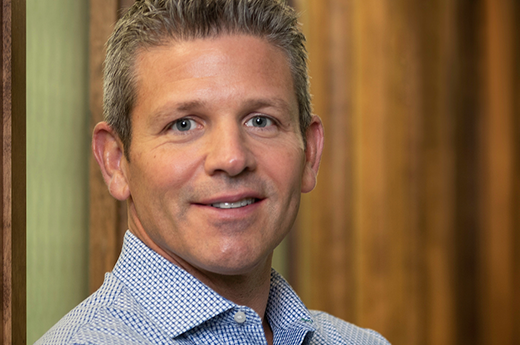 This is an extremely different approach compared to traditional healthcare; where the focus is placed on diagnosing the disease and matching that disease to a drug. Little if any value is placed on the underlying cause of the disease or how to reverse it. Functional medicine is deeply rooted in the process of collecting information about the function-status of your body and then initiating treatment based on these findings. Treatment plans are different for each and every patient. The functional medicine approach is not a cookie-cutter system where everybody get the same 3 dietary supplements and the same “healthy” diet plan. Your treatment plan is based on your personal needs, which will be determined through one-on-one consultations with your doctor and diagnostic tests. Again, you will notice that medication or drugs are not listed under treatment options. This does not mean that medication is never required. For example, some people may require medication if too much function of an organ has been permanently lost. We do not prescribe medication of any kind in our office. The purpose of functional medicine treatment plans are to increase health, restore function, reduce or eliminate symptoms and reverse chronic health conditions. This approach is very different than traditional medicine, where chronic illness is something to be alleviated. It seeks to make your chronic illness easier to live with today but gives little thought to your quality of life in years to come. It is an extremely short-sighted “solution” for chronic health conditions. Functional medicine achieves its purpose by restoring functional integrity to the various systems of the body. These systems include the digestive, immune, hormonal (endocrine), neurological, etc. The various systems of the body control the functions of the body. Functions include but are not limited to; detoxification, healing and tissue repair, defense, nutrient absorption, sleep, mood, energy production, metabolism, etc. Supporting the health and vitality of the body’s systems improves the quality of the functions they are performing. Some systems of the body can be considered more fundamental when it comes to restoring health. Not because they are more important, it is because we can influence them more directly. For example, the neurological system can be influenced and improved by supporting the digestive system. This is because the digestive system can be more easily “accessed” than the nervous system and healthy neurological function depends on good digestion. When the health of the digestive system is improved, many problems of the nervous system can be corrected. This leads to even higher levels of function because the improved neurological function leads to more efficient and effective digestion; initiating a snowball effect of improvement. 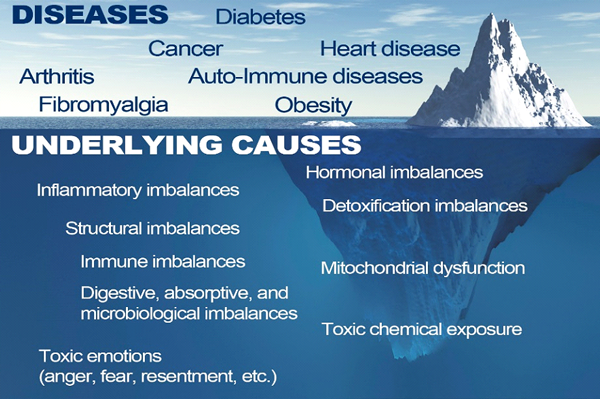 Just as chronic disease starts with small levels of dysfunction that grow into significant levels of disorder; functional medicine creates a snowball effect of increased function and health. The systems of the body are intimately connected and influence each other. Increasing the health and vitality of any system will lead to improvement in other systems simultaneously. This is the “magic” of functional medicine but the only reason this occurs is because we are working with and not against the natural laws of biology, physiology and health. Supporting and working in harmony with your body always leads to better long-term outcomes. Functional medicine not only recognizes but embraces the fact that chronic illness can only be reversed by supporting the systems of the body so that natural function and health can be restored. Pharmaceutical-medicine still refuses to accept the laws of nature and health. It clings to the false assumption that it can do a better job than nature can. One only needs to look at the increase in chronic diseases to see that this system is outdated and ineffective. Diabetes, heart disease, dementia, cancer, autoimmune disease... all chronic diseases are on the rise today and are projected to rise in the future. Functional medicine is the result of an evolving healthcare system. We had to take many steps forward in our thinking to recognize that we had to go back to the basics; work with the natural laws of the body and health; not against them. Most of our new patients have no idea what to expect when they come to our Naperville office for the first time. This is understandable since most people have not been to a functional medicine office before. Your first will be approximately 45 minutes; some take longer and some require less time; depending on the nature of the health problem(s). Your initial visit is a one-on-one meeting with your treating doctor. During this visit the doctor will go over the information you have provided and the forms you have filled out (we will provide you with forms to complete before arriving for this visit). The doctor will also review any recent diagnostic testing that has been performed by other healthcare facilities. Your doctor will then discuss with you their initial assessment of the data at hand. If you are accepted for care, the doctor will then discuss with you what the next step will be in your care. In most instances this will include expanded blood tests. This is because functional medicine physicians often need more information than is contained in most standard blood tests. In our Naperville office, we have created unique test panels that help isolate areas of dysfunction in the body. Other recommendations may be given but that will be determined by the information available at that time. The first blood test often provides sufficient information to determine which additional tests will be required to construct a comprehensive treatment plan for you. There is a process of information collection before treatment recommendations are given. To do otherwise would be of little benefit to you since your doctor would be attempting to make treatment decisions before the necessary information about you is known. As relevant information is gathered and the underlying cause of your health problem is more fully understood, treatment recommendations can then be made and implemented. Your doctor will then work with you and help you successfully implement the treatment recommendation as well as monitor your progress. The relationship is actually a partnership between you and your treating physician. It is our purpose to help you achieve your health and wellness goals but your full participation is necessary for successful outcomes. We look forward to meeting you and helping you make lasting changes in your health! Functional medicine puts a great deal of emphasis on optimal nutrition. We all know our bodies should be properly nourished, but you may not realize just how important this aspect of health restoration is. Some of the most common nutrients that our patients are deficient in include vitamin D, vitamin C, B6, zinc, iron, folic acid, magnesium, carnitine and essential fatty acids (the kind you get from fish or flax seed). This is only a short list of nutrients we often test for and everyone has different nutrient requirements. Identifying your unique nutritional needs is one of the ways functional medicine differs from traditional medicine and other forms of health care. Why Is Optimal Nutrition So Important? Some of the most common nutrients that our patients are deficient in include vitamin D, vitamin C, B6, zinc, iron, folic acid, magnesium, carnitine and essential fatty acids (the kind you get from fish or flax seed). This is only a short list of nutrients we often test for and everyone has different nutrient requirements. Identifying your unique nutritional needs is one of the ways functional medicine differs from traditional medicine and other forms of health care. 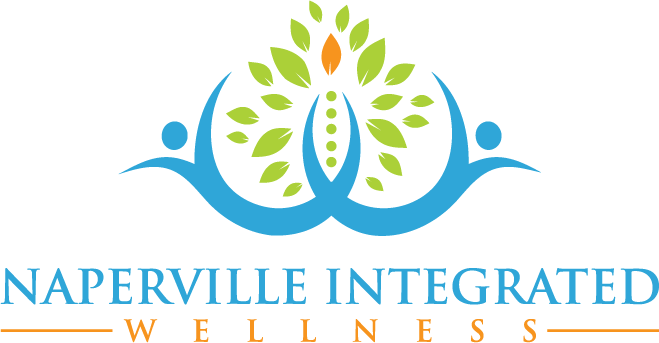 At Naperville Integrated Wellness, we approach health from a holistic standpoint and aim to restore wellness from the inside out. Between gluten, nuts, dairy, shellfish, and so many other food issues, it probably feels like more people have food allergies than ever before. Not only can eating a particular subset of foods cause an upset stomach or other indigestion, but food allergies and sensitivities can also cause a wide range of other reactions and health issues that may not seem like they are connected to your digestive system at all. For example, eating something that you have an allergy to could mean an instant reaction like a swelling throat, or it could be a milder and unexpected reaction like sneezing or itchy skin. Food allergies are your immune system’s way of reacting—or, in this case, overreacting—to certain proteins found in the foods you are allergic to. This is why your body can have reactions that extend beyond your digestive tract, and why it’s important to get help for your food allergies and sensitivities. Generally, the best way to stop your body’s adverse reaction to those foods is to avoid them altogether. Of course, it’s not always possible to do avoid those food items; whether accidentally or on purpose, you may inadvertently eat something you are allergic to, so having food allergy help matters. Your body produces a natural antihistamine called epinephrine, to help your body cope when your immune system overreacts. However, if you experience overreactions to certain foods, your body may not be producing any epinephrine, or not sufficient levels. To find out what is going on internally, we offer lgE, lgG, lgG/lgA and ALCAT blood testing. 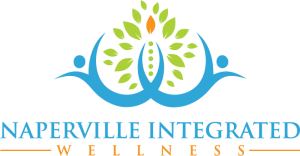 At Naperville Integrated Wellness, our aim is to treat your whole body, not just the symptoms. We offer a range of testing options to get to the root of your food allergy or sensitivity. Once we know what your body is fighting, we can help you craft the right treatment plan for your needs.